We understand the criticality and complexity which goes behind Event Management of Corporate Parties and Weddings. We take the joy in making you realise how can you have a perfect wedding. We look closely to incorporate themes into your weddings in order to make it a big day for you. While you think about making it memorable, we will strive to make it flawless as premium Wedding Planners. We also take care of the Event Management for your corporate parties and weddings. We undertake all the planning you deserve as one of the major Corporate Events Management Companies. We first dig in deep to find out why the event is being staged out and then do proper execution accordingly. We do not want to leave any stone unturned when we plan to make your Wedding Event heavenly. We will assist you to bring it to life by first creating wonderful Wedding Invitation Video which are candid. Then we also help you in realising where you can organise your Wedding Event. From Beach Weddings to Garden Weddings, we as one of the leading Wedding Organisers will also offer you Marriage Catering Services so that your guests feel full and content. Being extremely passionate, we want to look at every aspect of your Wedding Event with utmost care and detail. We like to put uniqueness in each Wedding Event project we come across, by incorporating unique and scintillating themes in your Wedding Decoration and also making customised Wedding Invitation Cards. And if you are looking to put Wedding Music Concert to make it a Musical Wedding, then we will also give you full support as leading Wedding Event Management Companies. Top event management companies in chennai VIVID Events is a full service Event Management company. We can help you intelligently shape and respond to your customers’ demands. We are constantly creating better platform to reach out to customers, and as one of India’s leading event management company, we plan and execute events that goes beyond your expectations. We at Vivid Events, look at each detail of your Corporate Event so that it is a crowd puller and captivating. We first understand your deep mission of why the Corporate Event is being organised and then do the Event Management you deserve in order to make it outstanding and phenomenal. We know how mind boggling it is to make sure that the step by step process in your Corporate Event is seamless. We will do the Event decor, Corporate Entertainment and the photo and video installation to give you full support. We will make sure that your otherwise dull Corporate Event is engaging and impactful. We, at Vivid Events want to make your Wedding Event more lively and stimulating. We strive to take all the responsibility of turning your Wedding Event more lifelike by turning it into a Royal or a Musical Wedding. Your Wedding Event is important to us. We incorporate unique themes according to your taste. We as one of the leading Wedding Event Management Companies take the joy in doing A to Z Wedding Planning by also offering Wedding Catering services. 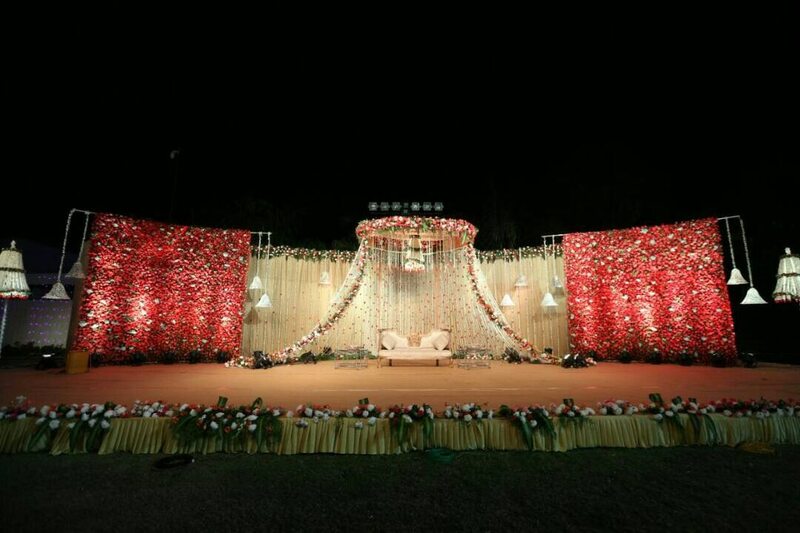 We also do bright-coloured Wedding Decoration so that the people coming to your wedding are completely mesmerised. If you are boggling your head over that First Birthday Party of your kid and thinking about that outstanding surprise planning, then we as First Birthday and Surprise Planners will make sure its unique according to your taste and budget. We will do the Balloon Decoration and incorporate different themes to make it eye-catching and stimulating. We, at Vivid Events want to give a new and exciting dimension to the way any Wedding Event or Birthday Event is planned and managed. Because we make sure you rejoice the special occasion while we take the joy in doing the sound Birhtday Planning and Event Management. We have paved our way in becoming an expert in organizing School Carnivals, Annual Day and Sports Day because we understand and look into the depth of each event we organize. We ensure that we plan, organise and execute in an outstanding way so that the crowd coming to your Annual Day or Sports Day are comfortable and content. Our team of skilled professionals is well abreast with the ongoing trends of those events. We as one of the renowned Event Management Companies ensure that we make each event successful and systematic. Associate with Vivid Events to witness interesting, fascinating and lively events. We, at Vivid Events Group believe in making your Wedding Event the most amazing affair. We are committed towards ensuring that your Wedding Event is incorporated with unique themes and decorations according to your style and taste. Whatever be your expectations, we will ensure that they are not only met but surpassed. We will assist you with anything and everything you want in your Wedding Event. Whether you want to make it a Royal or Musical Wedding, Garden or Beach Wedding, we will do the planning, management and organising to ensure that it is impactful and memorable. We as one of the premium Wedding Planners also help in offering Catering Services and Wedding Photographers to cover your Wedding Event. We as one of the leading Wedding Organisers have a great experience across a wide range of backgrounds and budgets. Whether it is a Beach Wedding or a Garden Wedding, we will do the planning, implementing, fabricating and creating unique Theme Weddings to make it more striking and magical. We do the Wedding Planning to throw a Musical Wedding and organise Wedding Music Concerts according to your taste. We understand that even your Marriage Catering is crucial. We as Full service Wedding Planners go the extra mile to make you realise what is your idea of your Wedding Party and then we support you to achieve them.